What is Listing Syndication? And how can it help buy or sell a home? Hello there and welcome to a new generation of home buyers! Most listings these days go through some sort of Listing Syndication there are a few great reasons for this and it is important to understand what happens to a listing once a real estate agent adds it to the MLS and elsewhere. First, an agent will list a home on the MLS (since we are in Georgia we use the Georgia MLS or Multiple Listing Service). This is a great tool that allows real estate agents special access to homes that are for sell and detailed information about each property. It also allows for easy searching for similar properties. But like we said, “welcome to a new generation of home buyers!” Many home buyers don’t talk to an agent first, they see what is available. An agent is a great avenue for learning this information, but the internet and social media has changed many things about the way buyers and sellers make decisions about a home. 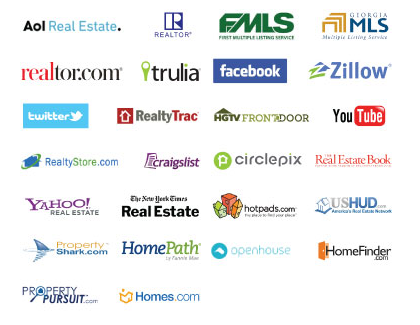 42% of buyers first search for homes on the internet before contacting a real estate agent. Only 14% first contacted a real estate agent. Now, how does this connect to Listing Syndication? At All Atlanta we do not only list your home on the MLS, we use an advanced syndication system which includes your listing in over 80 additional listing areas, including social media, other real estate agent brokerage websites, and the big three: Zillow, Trulia, and Realtor.com. The best way to sell your home? Let buyers see it. If buyers can’t find your listing, they don’t know your home is for sale. Listing your home through a listing syndication means your listing is seen by more potential buyers and this may be buyers who haven’t even contacted an agent yet. Listing your home with any of our agents means it is distributed through our extensive listing syndication network. Including, social media (Facebook, Twitter and YouTube) major listing sites as well as common search engine results like those from Yahoo! Real Estate, Fannie Mae HomePath and Craigslist. Don’t miss potential buyers, contact us today!